Clipping cant see it in mixer. So starting a new project,and when I mixdown it shows I clipped. Am I missing a setting in mixer to see this? I never see them go in red. I wouldn't worry too much if you feel it's not clipping. If the mixdown sees more than about 4 samples in a row going over the clip threshold then you'll get this just to let you know it's there, but if you can't hear it then it's probably fine. If you want to 'mute' that warning, put a limiter on the MAIN MIX track with a short latency and set its threshold to maximum. It'll not do much lookahead limiting, but it will control those transients. Would mastering engineers agree with you here? Isn’t any clipping at all a big no-no, whether audible or not? Why aren’t mixer channels showing this clipping? From what I’ve read and seen, mastering engineers don’t mind peaks going over for a few samples. It’s not going to break anything and you won’t hear it. If it bothers you, it’s easy to take the level down or use a limiter like Blip said. No VU meter I’m aware of will show clipping of a couple samples. NS is way more accurate than your average app. It might result in a false red flag or two. Showing my ignorance here, thanks for clarity Id always assumed in a digital environment a daw channel VU would always register ‘clipped!! !’ And convey it. Didn’t realise they weren’t that accurate. 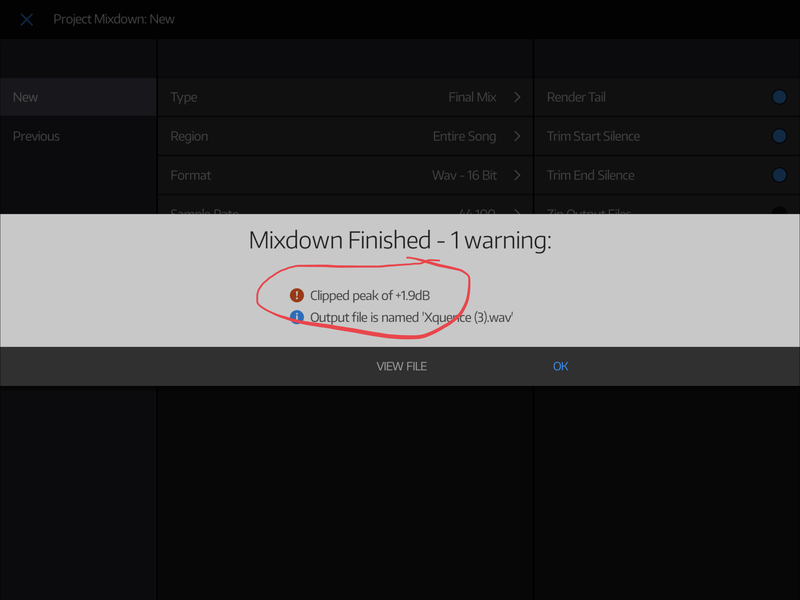 Seems strange that they aren’t though, considering it’s all solid boundaries and calculus etc, funny that they can recognise and register clipping super accurately at mixdown but not in real-time use. It’s not that they can’t recognize it, it’s just not worth reporting to the user. And yes, severe clipping can cause needle jumps. But that means stuff that’s clearly and audibly clipped. here crucial video about clipping... it's primary related to reason, but because nanostudio processes everything internaly in 32bit format all concepts described there can be applied no NS..
Now, Reason also has 64 Bit on the master channel. And what NS2 wrote there, sounds like clipping on the master channel on mixdown. There are actually engineers who “push” the mix into the red a little for the sound. Tape saturation could be considered a form of clipping. Compression is also a form of clipping. All overdrive is clipping. What makes the overall difference is how much of the frequency is being clipped and whether the resultant distortion is pleasant to the ear. That’s what I’ve always understood, anyway. Could be mistaken. In analog domain pushing into the red is common practice, yes. In digital, 32 bit (floating) will keep you safe from unpleasant surprises, for individual channels. But the final mix should not clip IMO, that can harm some sensitive equipment (eg. D/A), but that's why we use limiters at the and of master chain. Yeah. You’re right. I just completely lost my mind there. Yes. My comment was completely off. Thank you for that. Never bring an analog knife to a digital gunfight. 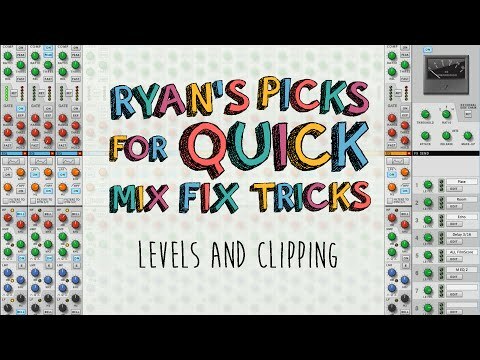 I think Dan Worrall explains it in a fabfilter tutorial video. Even though the mixing app doesn't show clipping when played, you have to give a little room anyway cause the final audio processing tends to overreach for higher DBs and some professional tools exists to make sure it won't happen like Pro L2. in case you do export from NS in 24 or 32 bit, you don't need take a care about any clipping at all.